Hallyu is a Chinese term which, when translated, literally means “Korean Wave”. It is a collective term used to refer to the phenomenal growth of Korean culture and popular culture encompassing everything from music, movies, drama to online games and Korean cuisine just to name a few. During former president Barack Obama’s state visit to Korea in March 2012, he made reference to the Korean Wave, which was made the country’s top priority by the government. South Korea is one of the only countries in the world, if not the only one, that has a dedicated goal to become the world’s leading exporter of popular culture. It is a way for Korea to develop its “soft power”. Soft power is a popular term coined in 1990 by Harvard political scientist Joseph Nye. It refers to the intangible power a country wields through its image, rather than through hard force. Hard force refers to military power or economic power. An example of soft power in play is how the US enticed the world to buy its Levi’s jeans, Apple iPhones, Marlboro cigarettes, Coca-Cola soft drinks and Hollywood movies, by leveraging on a desirable image. A unique image of cool. Hallyu first spread to China and Japan, later to Southeast Asia and several countries worldwide where it continues to have a strong impact. In 2000, a 50-year ban on the exchange of popular culture between Korea and Japan was partly lifted, which improved the surge of Korean popular culture among the Japanese. South Korea’s broadcast authorities have been sending delegates to promote their TV programs and cultural content in several countries. Hallyu has been a blessing for Korea, its businesses, culture and country image. Since early 1999, Hallyu has become one of the biggest cultural phenomena across Asia. The Hallyu effect has been tremendous, contributing to 0.2% of Korea’s GDP in 2004, amounting to approximately USD 1.87 billion. More recently in 2014, Hallyu had an estimated USD 11.6 billion boost on the Korean economy. Over the last two decades, South Korea has become very rich and very futuristic. In 1965, Korea’s GDP per capita was less than that of Ghana. Today, South Korea is the world’s 12th largest economy. The popular media in the region has attributed the origins of Hallyu to a couple of movies and TV soaps that were released in 1999. “Swiri”, an inspiring movie about the North Korea/South Korea espionage released in 1999, gave Hallyu the public face as it became hugely successful across South East Asian countries. It was followed by a soap opera called “Autumn in my heart” in 2000 that sustained the excitement created by Swiri. These were followed by “My Sassy girl” in 2001 and “Winter Sonata” in 2004. All of these became very popular not only in Korea but also in Singapore, Japan, Taiwan, Hong Kong, China and Vietnam. The success of these entertainment products created a tremendous buzz about the exploding popularity of Korean culture. Regional media sources were quick enough to pick up the cues and collectively announce the birth of Hallyu. Lifting the ban on foreign travel for local Koreans: Probably the most important factor which eventually made way for Hallyu, was the Korean Government’s decision in the early 1990s to lift the ban on foreign travel for Koreans. This made way for a number of Koreans to explore the western world, mainly the US and Europe. Many pursued their education in these countries and others started their careers in esteemed companies in the Europe and the US before returning to Korea during the late 1990s. These western educated Koreans brought with them new perspectives of doing businesses, new subtleties and interpretations to art, cinema and music and innovative forms of expressions. This gave birth to an immense pool of fresh, young and highly qualified talent waiting to explore opportunities within Korea. Restructuring of Korean chaebols: During the same time as the ban was lifted, Asia (and Korea) was going through the severe Asian financial crisis of 1997-98. The Asian financial crisis was a perfect storm of bad debt, panic among lenders and regional economic challenges. In December 1997, the Korean government took out a loan of USD 97 billion from IMF (International Monetary Fund). They ended up using only USD 19.5 billion, and the loan was paid back in 2001 three years prior to schedule. Korea had been a poor country just a few years prior to the Asian financial crisis, and defeating poverty was something that the country had learnt the hard way. Therefore, all measures were used to pay back the loan and get back on track in record time. The crisis left Korea with a serious image problem, as many global stakeholders still believed Korea was in bad shape, so the country lost foreign direct investments, lacked tourism and faced global skepticism. To solve this, the incoming president Kim Dae-Jung and the Korean head of global PR agency Edelman co-authored a book “Korea: On Course – and Open for Business” aimed at global investors. One of the biggest consequences of the crisis within Korea was its effect on the Korean chaebols. Korean chaebols were highly diversified conglomerates which operated in literally every sector of the economy from chip to ship making. The Asian financial crisis forced these chaebols to restructure their business models by divesting many of their business units and concentrating on their core competencies. This in turn opened up the market internally and gave other smaller players an immense opportunity to venture into varied businesses. More entrepreneurs emerged from the crisis emboldened by the opportunities. Korea realized that it was dependent on the chaebols – if they failed, the country would fail. President Kim Dae-Jung pushed for information technology and popular culture as the two key drivers for the future Korea. Technology would create new industries above the traditional manufacturing Korea has been dependent on since it rose out of poverty and industrialized, and popular culture could become an important export product worth billions of dollars – while it would help rebrand Korea. Samsung is one of the most prominent Korean chaebols, and the implications of the 1997-98 crises gave birth to an enhanced push for internationalization by the company and its owners as they sought new growth outside Korea. Samsung and its rise since then is a prominent example of how Korean firms have benefited from the global interest in what Korea is and what the country has to offer. Banning the censorship laws: The Korean censorship laws had prohibited movie makers and other artists from showcasing many topics considered controversial. This had curbed their creative independence for a long time. In 1996, the Korean constitutional court banned this censorship and opened up a barrage of topics for artists to explore. This move provided immense opportunities and independence to the young and vibrant generation of Korea to express newer and bolder ideas through cinema and music. Many influential film makers rose during this period. Increased emphasis on branding by leading Korean companies: Some of the major chaebols of Korea like Samsung and LG had started their branding journey by mid 1990s. There was an increased emphasis on quality, design and marketing and branding on a global scale. These skills were rubbed off to various other sectors of the economy as well. Collectively, there was an increased urge to improve overall quality to provide superior goods to the world market. Increased focus on infrastructure: The Korean government has been and is spending significant funds to develop high-tech Internet infrastructure as it believes that every Korean citizen will benefit from being connected to the global world. In addition to this, Korea is one of the few countries worldwide that invests its funds into the nation’s start-ups. In 2012, government funds constituted over 25 percent of all venture capital money disbursed in Korea. One-third of all venture capital in Korea is spent on the entertainment industry. All the above things occurred at more or less during the same period in the mid-1990s. A potent talent base of young and energetic Koreans on one hand and a very conducive cultural environment in Korea backed up by operational excellence on the other, gave an excellent base for young Koreans to experiment with music, drama and movies. Movies with more controversial and never-before-tested topics were filmed, which gained popularity across the region. Family dramas with a common sensitivity and cultural background which appealed to a vast population of Asians also become very popular, increasing the overall craze for Korean entertainment products. Many young local singers and bands adapted the US rap music to suit the Korean taste and it emerged as a big rage. These entertainment products (music, movies and dramas) initiated the phenomenal growth of Hallyu. Hallyu has consistently and exponentially grown since 1999, when it surfaced as a major cultural phenomenon. But the growth of this wave has not been totally spontaneous and unplanned. The five major factors discussed above shaped the cultural environment of Korea, which led to the birth of the Korean wave. In a similar fashion, the sustained growth and popularity of this wave has been well managed by all its chief stakeholders. Growing popularity of Korean brands: The Korean brands are doing the exact same thing to Japanese brands now, what the Japanese brands did to US brands during the 1960s and 1970s. Samsung and LG have been the forerunners in creating world class brands in the consumer electronics industry. In the recent annual 2017 ranking by Interbrand of the world’s top 100 brands, Samsung was listed as the 6th brand in the world with brand value of USD 56.2 billion. LG has transformed itself from a manufacturer of cheap products to a brand of repute. Hyundai and Kia brands are creating a similar revolution in the car industry. Hyundai, which was once the source of jokes in the US industry due to its horrible quality, is now touted as one of best quality cars in the market and is competing head on with the Japanese giants Toyota and Nissan. On a collective level, the acceptance of these brands in the international market has improved the overall perception of its country of origin – South Korea. Gradually the world is associating Korea with Samsung and Hyundai instead of the Korean War. This new interest in Korea has been a great driver of Hallyu. Increased R&D in design, production and overall quality: The popularity of leading Korean brands across the world including the US has highlighted certain key dimensions of success for Koreans – superior quality, cutting edge designs and a contemporary feel for the products and services. This lesson has been absorbed by almost all business sectors. This new emphasis has seen an increased investment in research and development in creating products of superior quality. The entertainment products like movies, music, soap operas have all been described as having excellent production quality. South Korean movies now are of Hollywood production value and quality. This new found focus on quality has enticed many new customers and helped sustain the popularity of movies, music and soaps, which are the main products driving the Korean wave. As the popularity of these movies, music and soap operas increased manifold in the region, it has also resulted in increased creative output. Since 1999 to the present, many Korean movies with innovative and appealing themes have been released. As a result, Korean producers have been able to source capital for these movies from countries outside of Korea, like Japan. People in many countries like Singapore, China, Vietnam, Japan, Taiwan and Hong Kong are being treated with more and more new movie numbers across the years. In addition to movies, Korean pop music by Korean music bands have also skyrocketed across the last 10 years. One does not need to be a K-pop fan to have heard of bands like Big Bang, Super Junior, PSY or Girls’ Generation. These four most popular Korean music bands have cumulatively sold more than 238 million records worldwide. Today, there are at least 115 active K-pop groups with an online presence and amongst these, 92 have debuted in 2010 or later. According to a report by the Korean Foundation, there were 35 million hallyu fans in 86 countries in 2015. Out of these, over 26 million live in Asia and Oceania, 7.6 million live in the Americas and 1.6 million in Europe. This speaks volumes about the explosiveness and the way that Korean pop music has proliferated the globe in the last 15 years. Even the soap operas have emerged as well packaged goods with a good measure of visual and emotional appeal. Many of the soap operas have depicted exotic and serene coastal and rural areas, and the theme has been the underlying values of Asian audience – family melodrama with lots of emotions and innocent love. Many of these soap operas have created records of sorts. The historical soap opera Dae Jang Geum or “Jewel in the palace” experienced extensive global commercial success in Asia (Taiwan, China, Hong Kong, Japan, Thailand, Cambodia, Indonesia, Philippines, Malaysia, Singapore, New Zealand, Brunei, India, Bangladesh, Sri Lanka and Pakistan), Middle East and Africa, and even the Americas and Europe. An illustration of this success would be in Hong Kong and Taiwan, where it was the number 1 program in both countries during the time of its airing, and its winning of the “Best Foreign Program” at the TVB Anniversary Awards 2005. The soap opera Winter Sonata became so hugely popular in Japan that its male lead Bae Yong-joon was renamed Yonsama, a title usually used for royalty. The recent “Descendants of the Sun” television series, aired in 2016, has also enjoyed immense success across Asia, with 1.1 billion views during the 2 months it aired. This increase in the quantity and quality of movies, music and soap operas has helped sustain the growth of Hallyu. Effective management of all touch-points: Even though multiple factors have tremendously influenced the birth and evolution of Hallyu, one of its drivers is careful and effective management of all possible touch points. Touch points are the numerous instances where the customers come in contact with Hallyu. The entertainment industry, the different organizations involved in movies, music companies, online gaming companies, Korean chaebols and the Korean government have meticulously orchestrated their efforts in ensuring a consistent experience. All these players have ensured portrayal of the interesting aspects of Korean culture in their respective media. They have also effectively optimized the use of new Korean celebrities to further the cause of Hallyu across the region. Continuous support from the Korean government: Korea is probably one of the only countries in the world that has a Ministry of Culture (Ministry of Culture, Sports and Tourism to be exact). A division of the ministry, the Popular Culture Industry Division, focuses on Korean pop music, fashion, mass entertainment, comic books, cartoons and other key products. The division along with three other divisions are referred to as the Cultural Content Office. Its budget is a staggering USD 500 million, with the aim to build a USD 10 billion cultural industry export industry by 2019. Additionally, the Korean government sponsors 20-30% of a USD 1 billion investment fund earmarked to nurture and export popular culture. The remaining funds comes from investment banks and private companies and are managed by the Korean Venture Investment Corporation. One of the strategies of managing Hallyu is the careful study of its target audience – mostly people in Asian countries. The Korean government and its divisions follow these Asian countries and cultures closely to understand which Korean Wave products would have the best probability of success in different markets. The secret is that no one understands these markets better than Korea. The Korean government has also been very active in managing Hallyu outside of Korea by conducting different cultural festivals displaying the Korean offerings, conducting PR campaigns to publicize Korean uniqueness and indirectly helping the entertainment industry by creating a very conducive environment. As of January 2016, the Korean Culture and Information Service has set up 28 Korean Cultural Centers in 24 countries across Africa, Asia-Pacific, Europe and America to promote Hallyu. The entertainment industry has been very proactive in feeling the pulse of the masses and producing appealing movies and soap operas. The Korean Tourism Organization (KTO) has made the best use of this huge interest in Korea by offering very attracting tour packages to tourists. These packages involve trips to locations made famous by the soap operas, travel to exclusive shooting locations and so on. The Korean government has already embarked on building “K-Culture Valley”, a Hallyu inspired theme park which would house everything from film studios, Korean restaurants, music concerts to movie galleries, shopping malls selling Korean celebrity merchandise and even a Korean theme park at an estimated cost of USD 1.2 billion. The purpose of this theme park has been to put in one place all the interesting components of Hallyu for visitors. Currently, the theme park is in the process of being built with plans to open in 2017. Lesser animosity towards Korea in Southeast Asian region: History, in a strange way, is positively aiding Korea and the growth of Hallyu. Most Asian countries were former colonies of Japan during the World War time. The direct result of this has been the continuing animosity towards Japan in many Asian countries, most notably in mainland China. This has been the main reason for Japanese music or lifestyle not becoming a rage in many Asian countries. Korea on the other hand has been a former colony of Japan and thus is on the same page as many other Asian countries. This has helped Korea both ways. The Japanese are able to identify with them as they are closer to Japan in terms of development and sophistication than any of the other Asian countries and therefore, Korean cultural exports have been huge in Japan. At the same time, being a former colony of Japan, Korea and China share the same history. The Chinese are able to relate more closely with Korean cultural products and relate without an underlying sense of animosity and hatred. This has been a major factor for the explosion of Korean culture in mainland China. The cumulative effect of movies, music, soap operas and games has been tremendously positive to the Korean economy and the Korean country image in the region. Hallyu contributed USD 11.6 billion to the Korean economy in 2014. Hallyu has contributed immensely to Korean tourism as well. An opinion survey conducted by the KTO in October 2013 found that almost 60% of tourists who visited Korea were influenced by Hallyu. With the Hallyu-wood theme park already built and with further upcoming developments, this traffic is expected to increase, which will in turn fuel the growth of the Korean wave. Rise of the Korean superstars: The main components of the Korean Wave – movies, music and the soap operas – has given birth to a new generation of Korean celebrities who have attained superstar status in the entire South East Asian countries including Japan, China, Singapore, Hong Kong, Taiwan, and Vietnam. Bae Yong-joon (Yonsama), BoA, and others have been drawing huge crowds where they go. A case in point is when the Japanese Prime Minister Koizumi mentioned in a press conference that he wished that he was as popular as Yonsama. This has given Koreans a great boost in their confidence as their stars are being looked up to by millions of people in the region. On a lighter note, this has also helped soften the tension during international discussion between politicians as many politicians who visit South Korea have been insisting on meeting these celebrities on a personal front. Increased interest in Korean tourism: Hallyu has given Korean tourism a shot in the arm and helped tremendously in repositioning the Korean country image globally. As the movies, music bands and the soap operas gained popularity, people from many countries have been flocking into Korea to experience the Korean culture first hand. KTO has been very active in offering package tours which includes a visit to the shooting locations, the various towns and resorts made famous in the movies and soap operas and so on. In 2015, Korea earned USD 15.2 billion from tourism, attracting a total of 13.2 million tourists. With the international tourist numbers hitting 1.1 billion in 2014 and international tourist growth forecasted at an annualized rate of 3.3% to hit around 1.8 billion by 2030, the Korean government is planning to increase its tourism revenues to USD 10 billion a year. The side effect of this tourist boom has been an increased popularity of Korean cuisine. It has been gaining so much popularity that the Korean government is planning a “Visit Korea Years 2016 to 2018” project, connecting with the PyeongChang 2018 Winter Olympics. Improved Korean country image: Korean popular culture has had a significant impact on the global fashion industry as an increasing number of Korean celebrities are included in the social fiber of fashion. New York has had its appearances of K-Pop girl groups like Girls’ Generation, Hyuna from 4Minute and CL from 2NE1. The singer G-Dragon dresses in an influential way that gets international notice as Korean celebrities are known for mixing styles and genres in clothing. Korean popular culture products including TV series such as My Love From The Star, music from PSY, boy bands like EXO and girl bands like Girl’s Day, are putting Korea on the global scene. Till very recently, South Korea evoked the images of the Korean War, the North-South Korean conflict, the burgeoning chaebols, many of which suffered hugely during the Asian financial crisis and the Seoul Olympics. All in all, nothing very positive and glamorous. Brand Korea was pretty elusive to everyone outside of Korea. All of that has started to change with the explosion of Hallyu. Hallyu has provided Korea with an excellent opportunity to showcase its diverse culture, people, its unique entertainment products, exotic locales and its own pan-Asian superstars to the rest of the world and thereby create a very strong brand Korea. With the maddening popularity of Korean movies and soap operas, the focus seems to have shifted towards Korean values, society, emotions and the beautiful locations projected in these movies. This in turn has given Korea a good chance to create new perceptions and images of itself across the world. All these factors have had the unstinting support from the Korean government, all the artists, businessmen as well as the Korean population. This collaborative effort has propelled Hallyu into a sustained cultural phenomenon rather than just a mere fad. Although Hallyu has sustained and grown for the last many years, carrying on into the future will be very challenging. One of the main reasons for its popularity to explode across the region has been its novelty and newness. After all, there are only a certain number of emotions! Though the Korean government and all the others involved have shown great maturity in handling this Korean wave, sustaining it over long periods of time will truly be a challenge. Sustaining innovation in the cultural products: Innovation lies at the heart of the success of many Korean movies, music bands and soap operas. To continue to lure viewers across South East Asia, Korean producers have to be innovative not only in the themes and stories but also in the creative execution. This is easier said than done given the enormity of the task at hand. South East Asian countries are all unique in themselves. Though soap operas like Winter Sonata was able to tap into the underlying common emotions and become hugely successful, it is open to discussion as to how long can Korean producers can continue to do that. 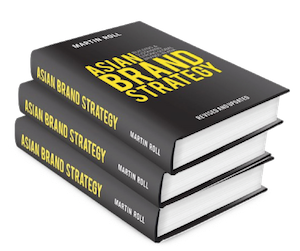 This will prove to be a major challenge as the best-selling management book “Asian Brand Strategy” by Martin Roll has illustrated in much detail. Avoiding over-exposure of Korean stars: The main players in the success of Hallyu have been the Korean stars like Yonsama, BoA and others. These celebrities have emerged as regional superstars with major companies – local and international – choosing them as their endorsers. The movies, soap operas and the various commercials are milking their popularity to a great extent. This may lead to an over-exposure of these celebrities. As the success of upcoming movies and soaps depend on these stars to a large extent, diluting their brand equity and image through over exposure would not be a very good idea. At the same time, controlling this over-exposure will be a great challenge for everyone involved from producers, companies to the celebrities themselves, as each one of them will want to maximize the star power. Sustained investment from the Korean government: The Korean government has been actively participating and supporting the growth of Hallyu. With the Discover Korea Your Way campaign by the KTO and other Hallyu-wood projects, the government will be called upon to invest heavily in the entire process. To sustain investing overall a long period of time and to see through projects thoroughly will indeed be a daunting task. All in all, there is no doubt that Hallyu has catapulted Korea on to the global stage. With so much international attention on Korea and its pop culture scene and its creative economy, it is imperative for the Korean government to leverage on all its entertainment and cultural products to further drive the brand equity of Korea as a country. Brand Korea needs to be able to strike a balance between not over-commercializing Hallyu, but to market and build its identity in a genuine way. The growth of the Korean Wave over the past 2 decades has been a fascinating one, and it is still unfolding. Moving forward, it will be interesting to see how Korea continues to innovate and tap on the massive potential and popularity of the Korean Wave to sustain its appeal to global audiences. This could further enhance the nation brand equity of Korea, and contribute to the continued success of the Korean society, economy and culture.